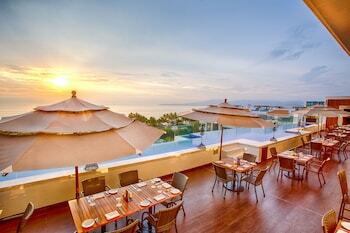 Riviera Nayarit is a suburb in Puerto Vallarta, a marvellous city of 190,000 residents. Book your hotel and flight package with Expedia and save some cash. This is one of the most straightforward ways to save. You just select your flights and your accommodation preference and put them together in one package. Discover even more on your Riviera Nayarit trip with the extra cash. Crafty travellers can save up to 15% by purchasing their combined package deals with us. You don't need to frantically look around different websites for your accommodations. With roughly 400 partner airlines and 321,000 hotels around the world our abundant database has what you are looking for. 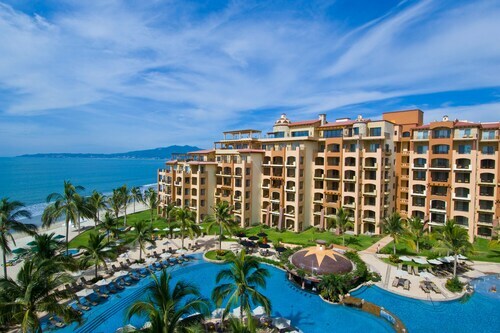 For Riviera Nayarit, Puerto Vallarta, you'll have trouble beating Expedia's package deals. You can delay your travel plans with us because we don't charge cancellation fees for almost all of our bookings. Add that to the many travellers who make the journey each year. If you're travelling to Riviera Nayarit from the city centre, it's located 16 miles to the northwest. Alternatively, it's 12 miles northwest of Licenciado Gustavo Diaz Ordaz International Airport. Check in to your hotel and get set for some local sites. 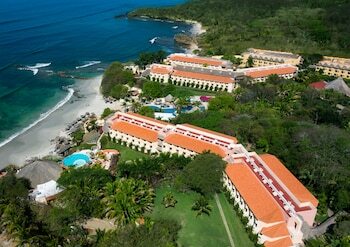 Destiladeras Beach and Playa Bucerias should be at the top of any travel agenda. Rancho Mi Chaparrita and the Litibu Golf Course are also worth trying out. 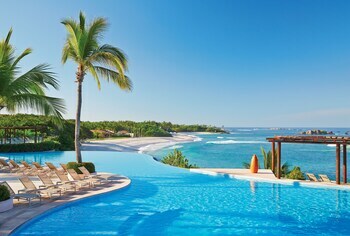 One more option is to head to a few close by neighborhoods, including Punta Mita and Sayulita. People come from near and far to experience the Malecon, one of the top tourist sights around. It's 0.3 miles from the heart of town. Make sure you investigate Bay of Banderas, just one of the memorable destinations near the city's heart. 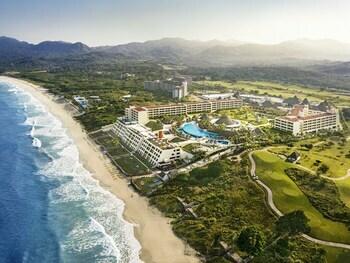 You'll find 27 Riviera Nayarit hotels on Expedia's comprehensive travel guide. Take a look at the rooms at the Imanta Resorts Punta de Mita and Vallarta Gardens a Boutique Private Residence Club. These are certainly up there with Riviera Nayarit's best hotel options. Watersports, wildlife spotting, fresh seafood lunches and picturesque sunsets provide all the ingredients for an idyllic beach vacation in Punta Mita. Located in Nuevo Vallarta, this beachfront resort is next to a golf course and within a 5-minute walk of Paradise Plaza Shopping Center and Nuevo Vallarta Beach. 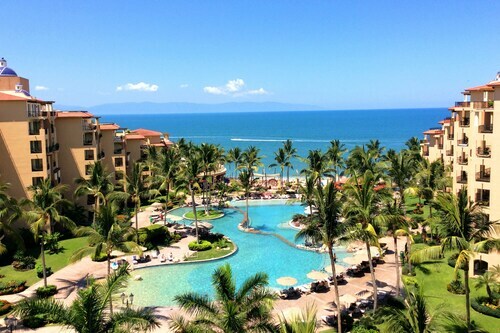 Vallarta Adventures and Nayar Vidanta Golf are also within 2 mi (3 km). 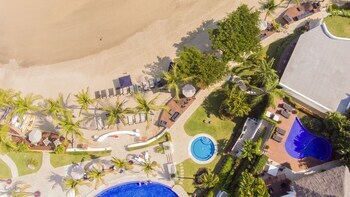 Located in Nuevo Vallarta, this beachfront resort is in the entertainment district, 0.7 mi (1.1 km) from Playa Bucerias and 1.3 mi (2.2 km) from Nuevo Vallarta Beach. Flamingos Golf Club is 2 mi (3.2 km) away. 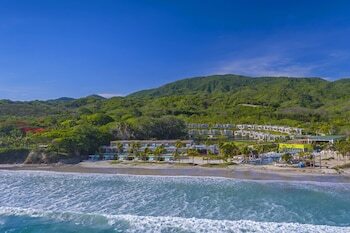 Nestled on the beach, this Punta de Mita resort is within 3 mi (5 km) of Punta De Mita Beach, Destiladeras Beach and El Anclote Beach. 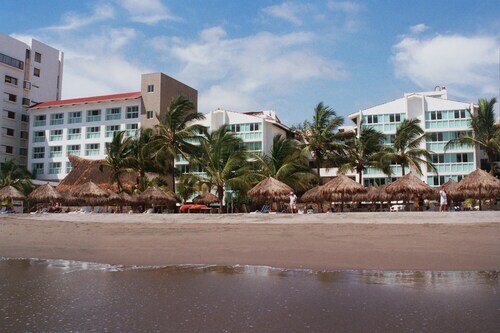 Playa Bucerias and Marina Riviera Nayarit at La Cruz are also within 9 miles (15 km). 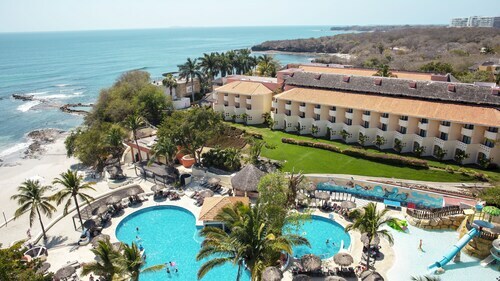 Located in Nuevo Vallarta, this beachfront resort is next to a golf course, 0.7 mi (1.1 km) from Playa Bucerias and 1.3 mi (2.2 km) from Nuevo Vallarta Beach. Flamingos Golf Club is 2 mi (3.2 km) away. 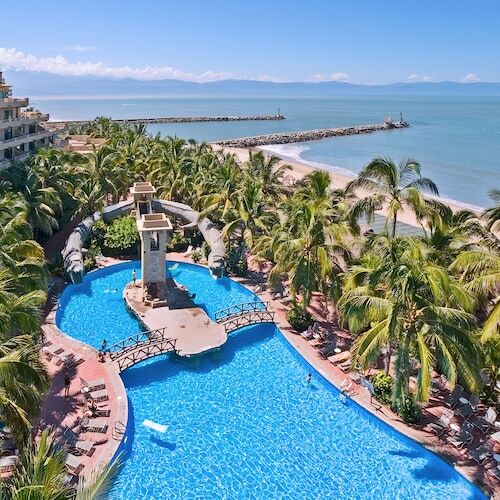 Located in Nuevo Vallarta, this beachfront resort is on the boardwalk and within a 15-minute walk of Nuevo Vallarta Beach, Nayar Vidanta Golf and Vallarta Adventures. Paradise Plaza Shopping Center is 1.8 mi (3 km) away. 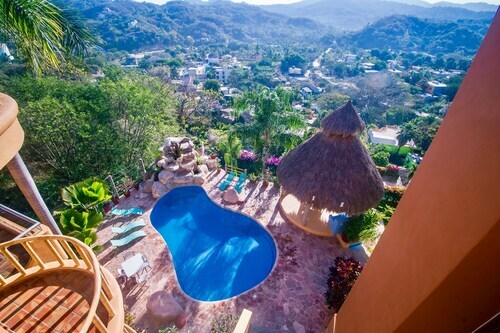 Located in Nuevo Vallarta, this beachfront resort is next to a golf course and within 1 mi (2 km) of Paradise Plaza Shopping Center, Nuevo Vallarta Beach and Vallarta Adventures. Nayar Vidanta Golf is 1.4 mi (2.2 km) away. 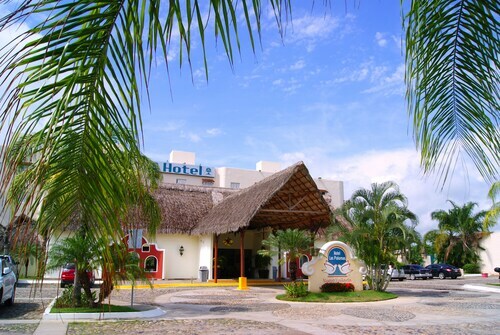 Situated in Nuevo Vallarta, this hotel is 0.4 mi (0.6 km) from Flamingos Golf Club and 2.1 mi (3.4 km) from Playa Bucerias. Plaza Lago Real Shopping Center and El Cora Crocodile Sanctuary are also within 3 miles (5 km). LON-All Airports - Licenciado Gustavo Diaz Ordaz Intl.